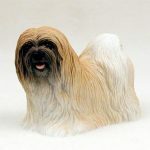 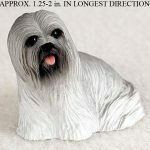 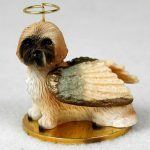 Our Lhasa Apso dog figurines are offered in six colors and two coat styles. 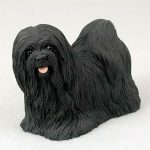 Here we have our black Lhasa Apso with a standard coat. 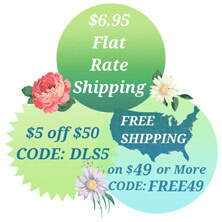 Our standard coat contains a dense, heavy, and long length that touches the ground. 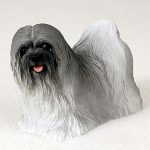 The entire figurine is evenly covered with hair but is most noticeable on the tail, face, and ground level of the figurine. The coat covers the body shape of the breed but overall the figurine’s shape is slightly longer than tall. 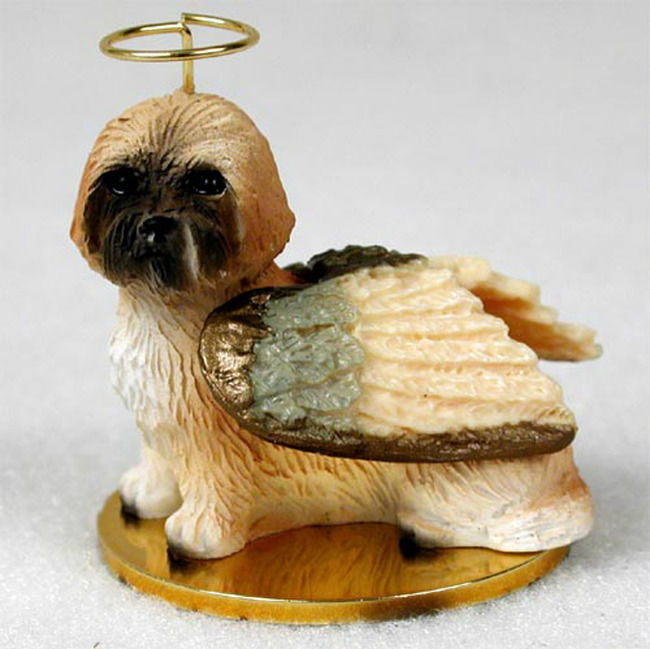 A middle part is visible on the figurine’s face as well as on the muzzle allowing the eyes to be visible. The eyes and nose are black. The mouth is open showing the figurine’s pink tongue.